The Lagos State government has described Alhaji Asari Dokubo, leader of the Niger Delta Peoples Volunteer Force, as a comedian who should not be taken seriously for faulting reports on discovery of oil in the state. Dokubo had in a statement posted on his facebook faulted reports on the discovery of oil in Lagos State, saying the reported oil wells were situated in the Niger Delta territory. Reacting to Dokubo’s claim, Steve Ayorinde, Commissioner for Information, Lagos State said: “We appreciate Asari Dokubo’s sense of humour. But oil and gas is no subject of comedy. The oil discovery in Lagos is a reality that won’t lend itself to jokes. The oil discovered in Badagry, according to him, will work for the citizens just like Lagos will continue to work for everybody under Governor Akinwumi Ambode. 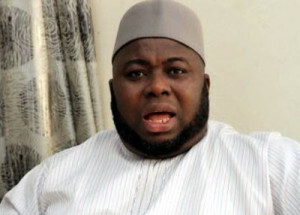 In his statement, Dokubo accused the Federal Government of the greatest fraud and called for an international inquiry into the alleged discovery. “The international hydro carbon mappings are public documents and are in the public domain for sighting and reference….It is the greatest fraud of all time to physically steal and transmute the God given resources of the Ijaw and Niger Delta and to transfer same to Lagos State. Is it not enough to thief our resources through your constitutional abracadabra that you are now resorting to korokoro thief,” he stated.